With many traditional festivals such as bullfighting, horse fighting or Long Tong festival, ... the period of early spring is the best time for those who love to explore the traditional festivals of ethnic minorities in Ha Giang. 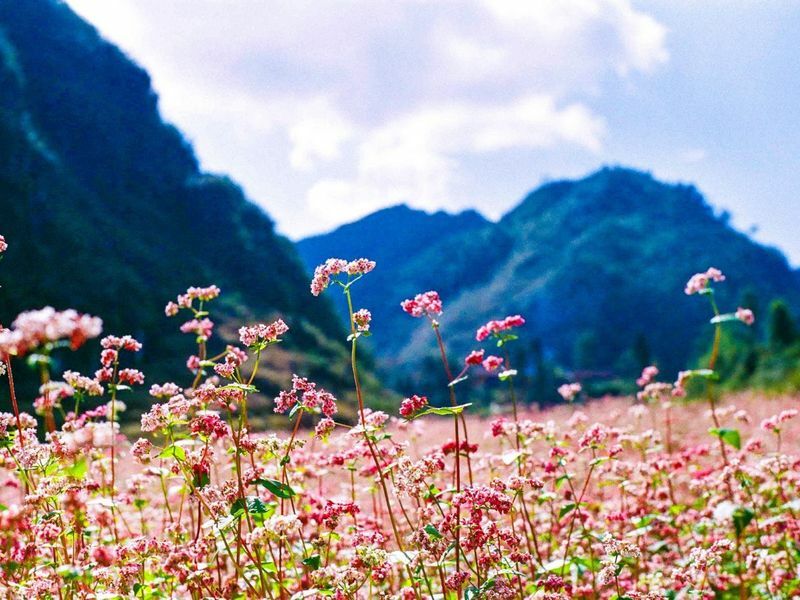 Travel in Ha Giang in March, you will see a full of Ha Giang spring with beautiful peach and plum gardens are blossomming, the entire plateau is flooded by flowers. 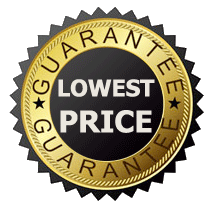 This is the best time for romantic moments that you can save the beautiful memories with your lover. You can also have great photos in there if you travel in Ha Giang this time. Ha Giang in the spring is the most beautiful season (my experience). 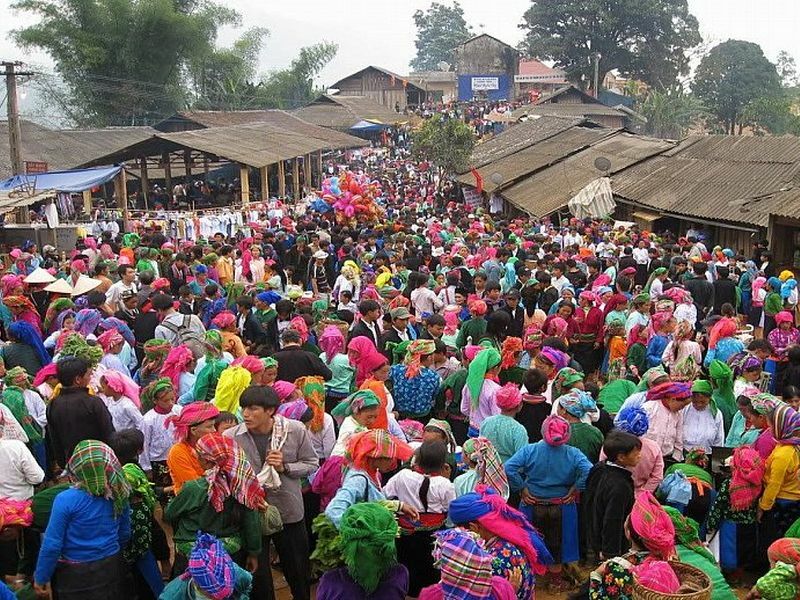 If you want to immerse yourself in the bustling atmosphere of Khau Vai love market - where people who love each other but not to be together to meet again, then the March 26 (according to the lunar calendar) is the time you should go to Ha Giang. _Pour water season: May and June are the best time for you to watch Ha Giang canvases with fields are filled with water. Under the sun, the ladder is likely the giant mirror reflecting the sunlight. _The ripening rice season: This is the time that Ha Giang put on the yellow shirt of ripening rice. 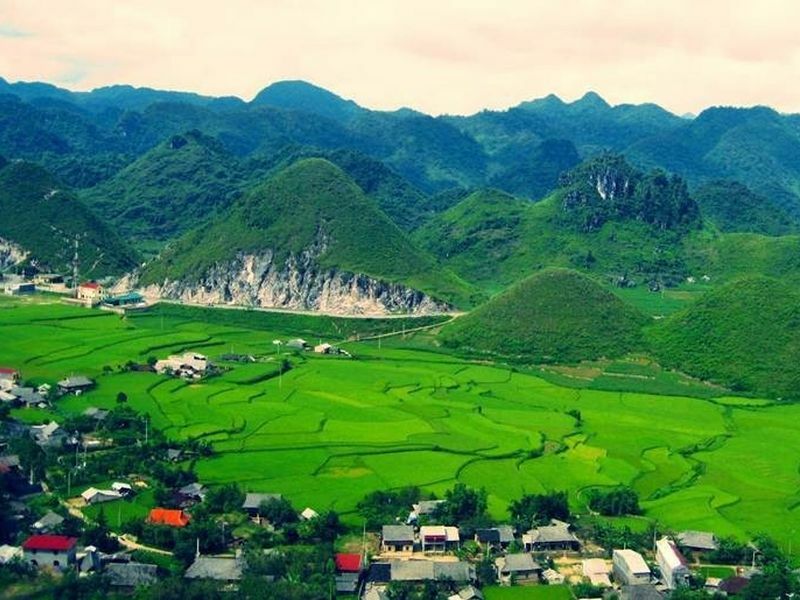 If you want to enjoy the beautiful fields were lush with ripening rice, then August and September will be about the time you should visit Ha Giang. 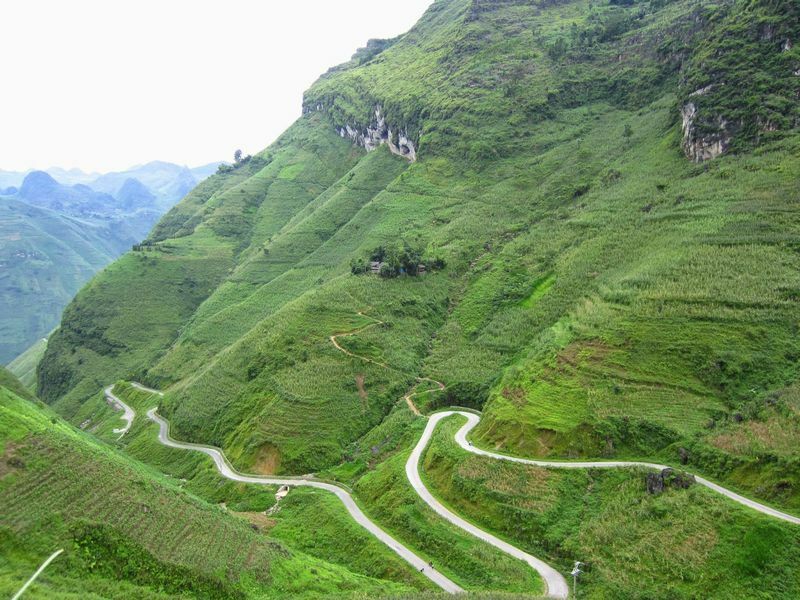 October and November are the best time to travel in Ha Giang. It is the time that Buckwheat flowers are blooming around the slopes and foothills. No one can expect the barren plateau, full of gravel can grow such gentle flowers. 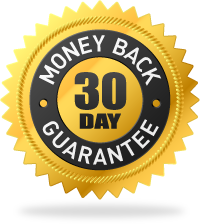 In addition, the beauty of the Daisy flowers is also something you should not ignore. December is the season of Colza flowers, the scenery is full of yellow color, a beauty that can not express in words. At this time, the weather in Ha Giang starts cold. 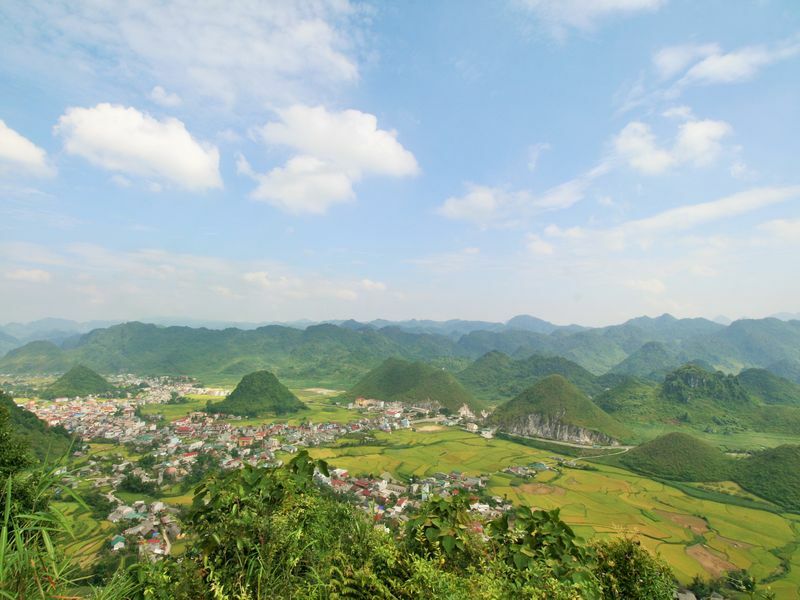 In the late December, there are many places in Ha Giang have snow, then, this is the great time for you to arrive and see the beauty of Ha Giang.